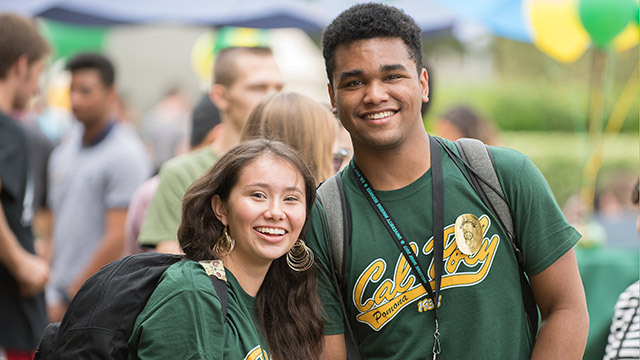 Beginning October 1, all 23 California State University (CSU) campuses will accept applications for admission to the fall 2019 term. Students interested in attending any CSU campus can apply online at the university’s application portal: Cal State Apply. The priority application period will close on November 30, 2018. Under Graduation Initiative 2025, CSU campuses have made tremendous strides in increasing graduation rates and creating opportunities for new first-time freshman and transfer students. However, due to the finite resources available from the state, CSU campuses are unable to meet the increasing demand of all qualified applicants. Campuses or programs that are “impacted” receive more applications from qualified applicants than can be accommodated. Applying early during the priority application process is encouraged; impacted campuses cannot accept applications after November 30. The Cal State Apply website not only allows one submission to serve the application needs of all CSU campuses but is also the best place for prospective students and their parents to learn about degree offerings at each of the CSU’s 23 universities. The site includes a comprehensive database detailing undergraduate and graduate degree programs offered at each campus, as well as information about the campus community, student housing and campus life. After applying to the CSU, prospective students should visit the university’s financial aid website to learn more about financial aid options. The CSU continues to be one of the most affordable universities in the country – 80 percent of all students receive some type of financial aid, and more than 60 percent of undergraduates receive sufficient financial aid to cover the full cost of tuition. For an updated list of impacted majors for freshmen students visit: http://bit.ly/2NOoBK9, for transfer students please visit: http://bit.ly/2N5ZTzE.